Uglyworld #834 - He Loves Bananas (290-365), originally uploaded by www.bazpics.com. 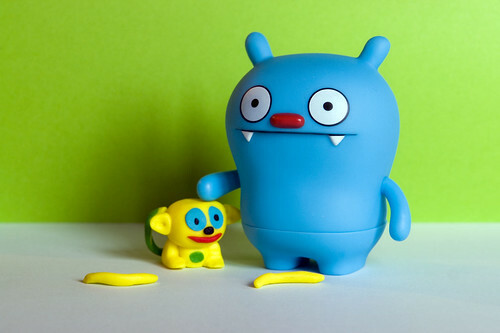 After seeing the awesome clay models Babo and Wage made of themselves, Big Toe took a couple of lessons himself and then managed to create his own version of his favourite Monkey, Yoya. As if this wasn't enough he also made a couple of bananas, as he knew that if Chunky was to come and visit that one banana would never be enough (he does have a back up plan of ordering some pizza too).